Reminder to Me-Wear GLASSES when food shopping! This is actually quite funny. Thankfully I am not a picky eater! After I left my client today I noticed that my eyes were burning and were very tired (I blogged about this previously)--but I needed a few things at the supermarket so I stopped there on the way home. I really could not decide what I wanted for dinner and must have walked those isles about 3 times. Well, I finally picked up one of those pre-cooked chickens figuring that at least that would last me for a couple of meals. 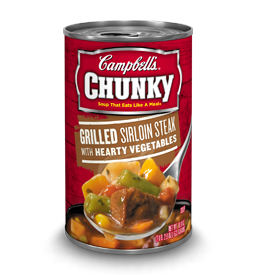 Picked up a couple of other things as well--then I saw that Campbell's Hearty Soups were on sale-the large cans 2 for 3.00. Every time I picked one up another fell back--I finally got two of what I thought were Chicken Noodle. It was really good actually-tasted like beef stew with some chicken thrown in!! I did check-the other IS Chicken Noodle!! Lesson to be learned here (for ME)-do not attempt to food shop or cook without first putting on my glasses!! Campbell's has no idea I am mentioning their delicious soup! That's so funny -I have done that before! I don't even need glasses and this happens to me lol. Too funny, pleasant mistake. That is too funny! I've done crazy things without my glasses myself. I was looking at all the different Chunky soups the other day in the Supermarket. There are so many to choose from and they are meals in themselves! Thanks for the laugh. Hahaha at least it was still good even though it wasn't intended. How funny! Well, you had a mixed meat soup! Haha! That is too funny! I do not wear glasses but I could see myself making a mistake like this when I am in a hurry. Glad it was still yummy. I'm totally with you! 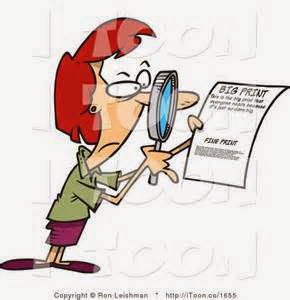 I try to fill in the gaps when I am not wearing my glasses and encounter the same situation. Haha - I recently bought noodles that you break up and put on a salad because I thought that they were Ramen noodles. I guess that I didn't look close enough. The label was clear and the $4 price tag was another indicator that it wasn't Ramen. My husband teases me! That is too funny! Good that you like it even though it was mixed up the flavor. Lucky Campbell's for mentioning their name. OK I'm smiling really hard here because I don't wear glasses or need them but I have so totally done that on occasion, and it's usually with things I don't even need. :) Luckily your soup was still delicious. Oh that's funny. Been there, Done that. I make mistakes even when wearing glasses, not sure if I am getting older or marketing is getting smarter, or both. 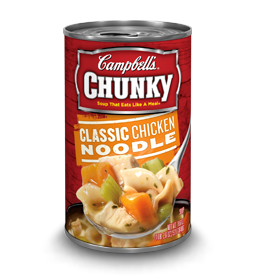 At least you had a delicious dinner and new experience with Campbell's (I actually test their recipes these weeks). That is hilarious. I have done that before. Grabbed the first can and whatever was behind it. Ended up not being the same. My husband loves both of those soups. Hehe I bet that was a surprise! I'm glad it turned out ok though. My husband wouldn't complain, he always says the more meat the better! I did that just the other day. I meant to grab a bag of BBQ Pork Skins. Was looking right at them and grabbed the Hot 'N Spicy. I ate them anyway. But they were sure hot.